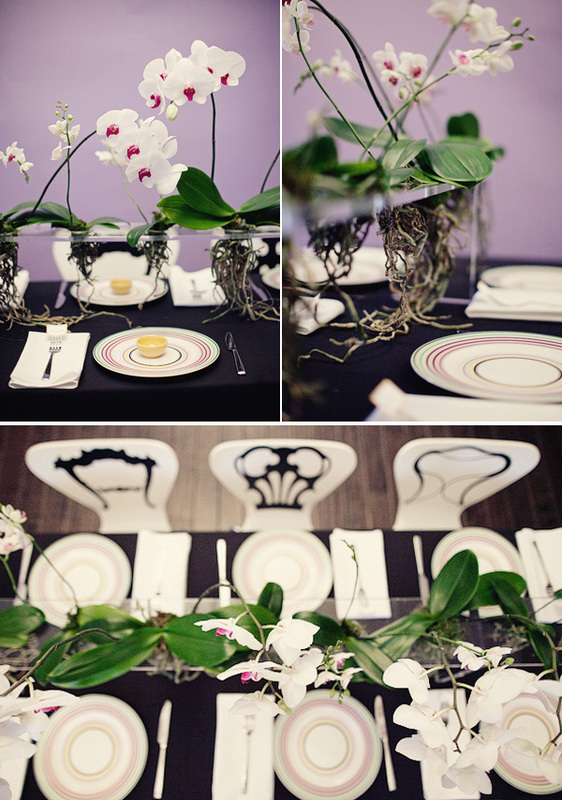 Barb from Hatch Creative Studio sent over this incredibly innovative shoot with Maggie Harkov featuring the coolest centerpiece I’ve seen in a while…I just love how the orchids float over the table and how even the roots are made beautiful! This has to be the COOLEST centerpiece I’ve ever seen! I love how the roots are left dangling but it still looks so refined. Gorgeous idea. 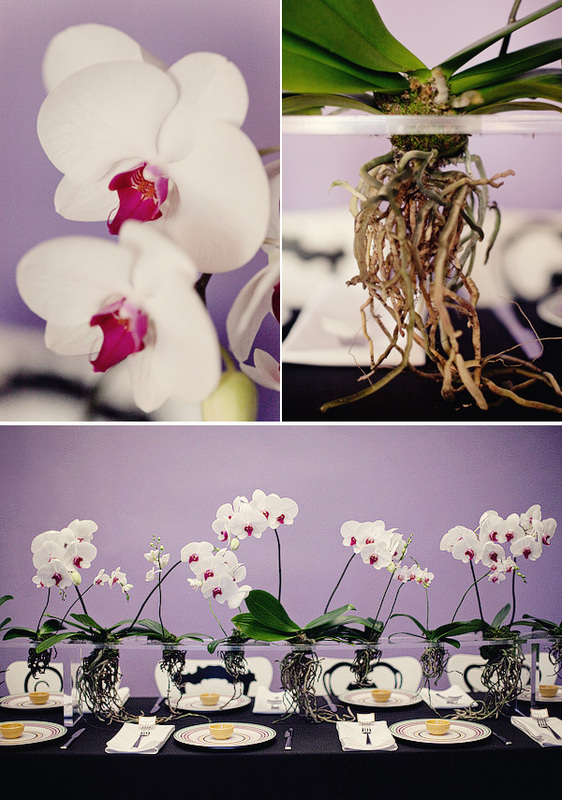 I love how the simplicity of the display allows the orchids to shine and really be the focus. There’s something very modern about the exposed roots. And those chairs are really cool! Are those stickers? Outstanding! So beautiful! Such an original and modern idea. Fantastic! So,Wonderful. Very creative. I wish i can do this photo shoot also in the near future. Keep it up dude! this is incredible! what a great way to display the true organic orchid!